I am so excited to share a new storage system by Stampin'Up available April 1. 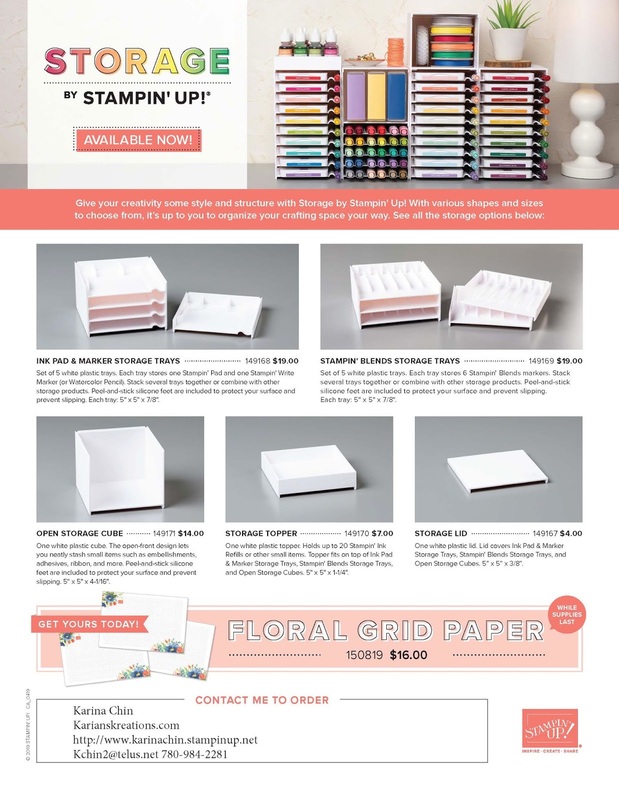 The system is design to store your Stampin' ink pads, Stampin Write markers, Stampin'Up Ink Refills, Stampin Blends, and tons of other accessories. This storage system will make you work more efficiently by staying organized. Supplies are organized, tidy and visible at all times. Ensures that your Ink Pads, Markers and Blends are stored horizontally, as recommended. Stores your ink pads by color family or any way you choose. Designed to be wipeable and compact. You can stack them up to 50 cubes high. The units are modular allowing you to add stack as your collection grows. Easily assembled and disassembled if you need to move them around. Easy to pick up and move to crops etc. Priced individually from $4-19 to fit any budget or space. 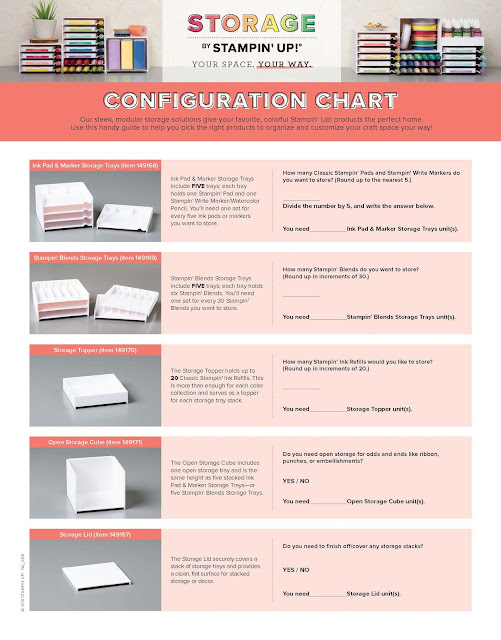 I have attached a link to the configuration chart to help you decide what to order. Email me what you want by March 31 and I will give you free shipping and have the items shipped to your house. My order is going in April 1. Please use YJNDTYB6 so I can refund your shipping.